We soft-launched our first conference in Asia just under three weeks ago and already have more than 100 confirmed attendees. We’re delighted to invite you our regular readers, your colleagues and contacts to what will become an annual ILS event for the Asia region. 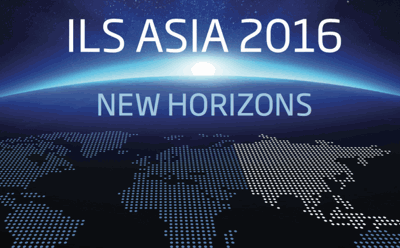 Artemis ILS Asia 2016, held July 13th 2016 in Singapore, is designed to be the definitive annual insurance-linked securities meeting in Asia, facilitating introductions and connections between the region and mature-market based ILS executives. With Asia a region of growing importance to the ILS and catastrophe bond market, both in terms of sourcing diversifying risk and an increasingly educated investor base, now seems an appropriate time to bring a regular event to the region. We’re holding the conference in Singapore, at the world-renowned Raffles Hotel. The city has great transport links to the world, a burgeoning insurance and reinsurance market, a capital market and an investment community, making it a likely future location for ILS business. The day will feature talks from representatives of the alternative or ILS side of insurance and reinsurance, as well as the traditional side, with a focus on discussing the complementary and diversifying nature of ILS capital, the benefits it provides to cedants and investors, as well as how to access it. Speakers will also touch on issues surrounding the state of the ILS market and how it is developing in Asia, issues for cedants and investors to concern themselves with, how regulation affects the market, what opportunities to grow ILS activity in the region can be found, as well as updates from market leaders. We’ve just released details of the first wave of speakers and will be adding more over the coming weeks, so keep an eye on the website for updates, or register and we’ll keep you informed. Key to this event will be networking opportunities and we’re going to make sure there’s plenty of time for ILS market executives to meet and network with attendees from the region. We’d like to thank our confirmed sponsors of this event (seen below), for their support and for making this event possible. There are opportunities to join the event as a sponsor, please do get in touch by emailing us at events@artemis.bm. With more than 100 attendees confirmed in just three weeks we hope to add to that considerably by the event date of July 13th 2016. Please visit the website and register for your free invitation if you are interested and able to attend. We have confirmed attendees from all over the world, with a good split between mature and emerging insurance, reinsurance and ILS markets, as well as between cedent, service provider and investor roles. We hope to see as many of our colleagues and contacts at the event in Singapore as possible. If you can time your next trip to Asia with our event we would love to see you there and please share the event website with your colleagues and contacts.